The 2018 TightSpot 5 Arrow Quiver utilizes a four fastener crossbar system with carbon fiber structure rods for a more stable platform that reduces vibration like never before! 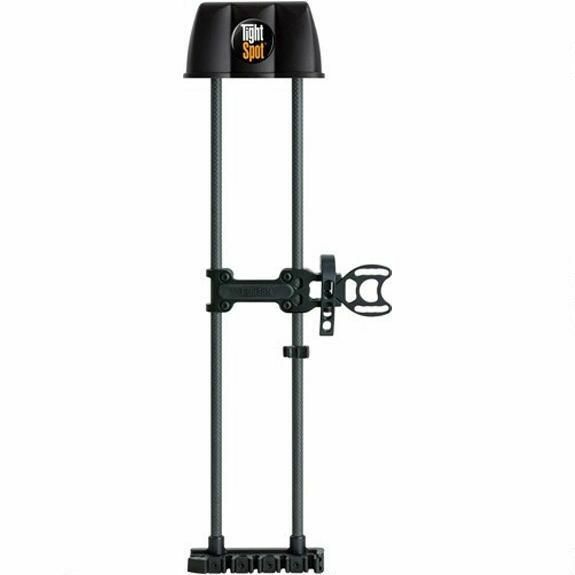 It features a Delrin saddle washer under the locking lever for smoother operation and a more durable locking system. The BullDog Arrow Grippers are individually adjustable and will lock your arrows in place. This model provides better balance with the RightSpot adjustment system that pulls your quiver tight to your bow and also acts as a stabilizer. With acoustic dampening materials and vibration absorbing carbon rods, you'll have one of the most durable, light weight and quietest bow mounted quivers on the market. Get the Tight Spot quiver to enhance your hunt! Hood to Gripper Length 18"